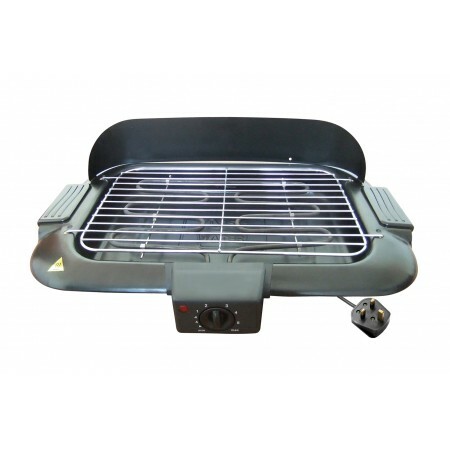 The smokeless electric BBQ grill is perfect for indoor barbecuing. It also can be used in the garden, when camping or in your caravan. 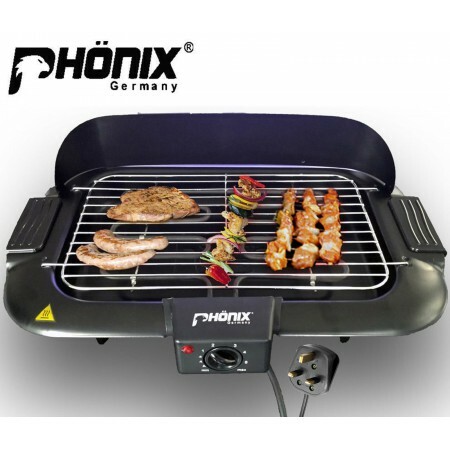 The Electric Grill is equiped with wind shield for efficient heat utilization which is perfect when using outdoor. 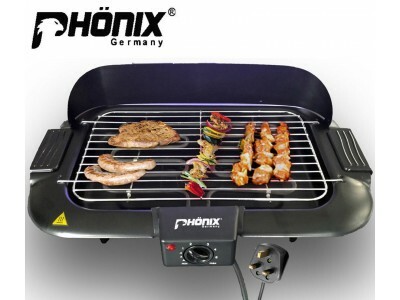 The powerful grill makes the food juicy without drying it. 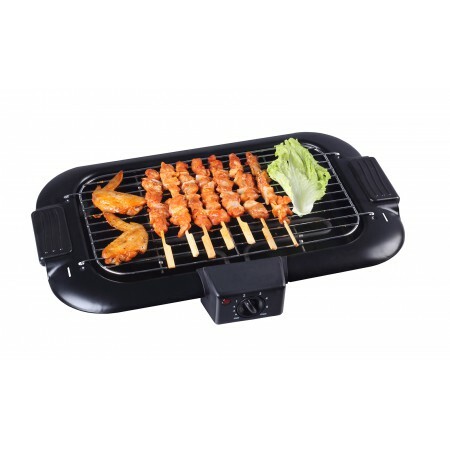 Easy to clean the electric BBQ grill comes with removable drip tray. When using the grill pour little water in to the drip tray to avoid smoke. Easy to use with thermostat temperature from 100°C to 250 °C and idicator light. Please Note: When using the barbeque grill for the first time it is normal for the heat pipe to create little smoke! After that it will no longer appear.